We provide creative approaches to present your statistical data. 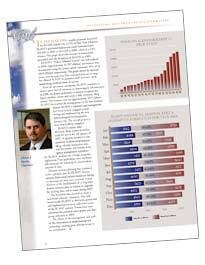 In collaboration with the Communications Department at Seamen's Church Institute we have produced their annual reports from 2008 to present. In this example (at right) we combined the talents of two people, one used Illustrator and one used Lightwave. 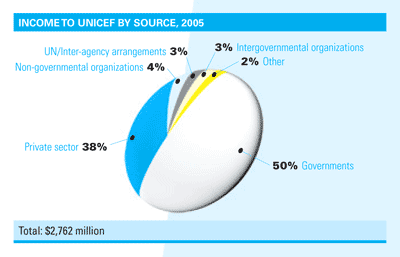 We then brought both pieces into InDesign to create a unique approach to a plain pie chart that appeared in the 2005 UNICEF Annual Report. BlissDesign, in close collaboration with CM Communications, has produced annual reports for ELANY, the Excess Line Association of New York for over ten years. 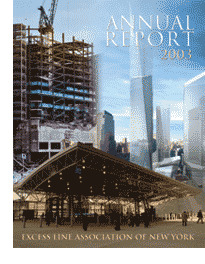 We are proud to have designed the annual report for the College of Staten Island, 1999 and 2000.